Work with contractors from the initial stages of new construction and renovation to ensure that no design detail is overlooked. Making thoughtful design decisions early in the process – like selecting tile and flooring, choosing the best locations for ceiling fixtures, and designating outlet and switch locations – goes a long way towards preventing delays farther down the line. Consult on the selection of materials, fixtures, and finishes for kitchen and bathroom renovations, as well as produce schematic drawings and renderings to test the look before committing to a purchase. 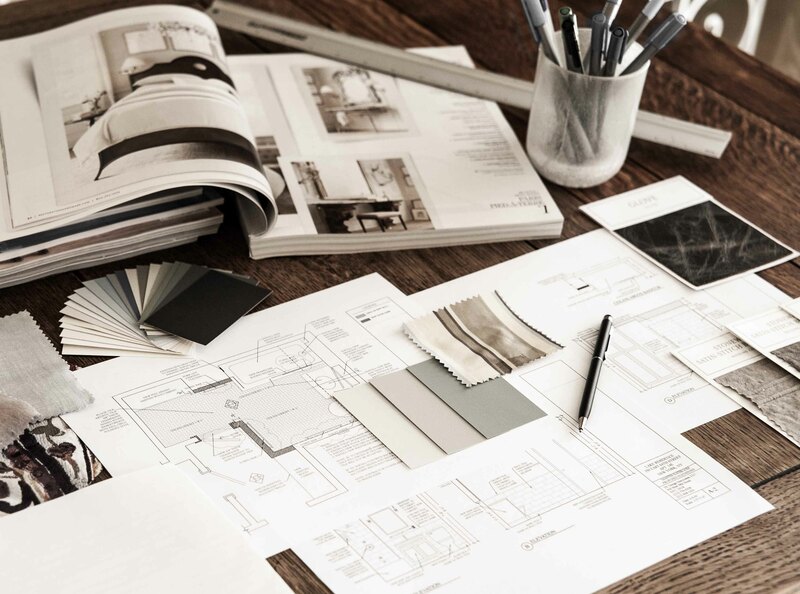 Create floor plans, elevations, color renderings, and mood boards. Provide space planning, furniture layouts, and color schemes. Design and decorate one room or an entire house, including the selection of furniture, linens and textiles, wall coverings, window treatments, lighting, custom built-ins, art and accessories. Breathe new life into existing furnishings and family heirlooms. Make purchases, manage shipments and deliveries, and coordinate with vendors on your behalf. Serve as a homeowner’s representative during all phases of construction.